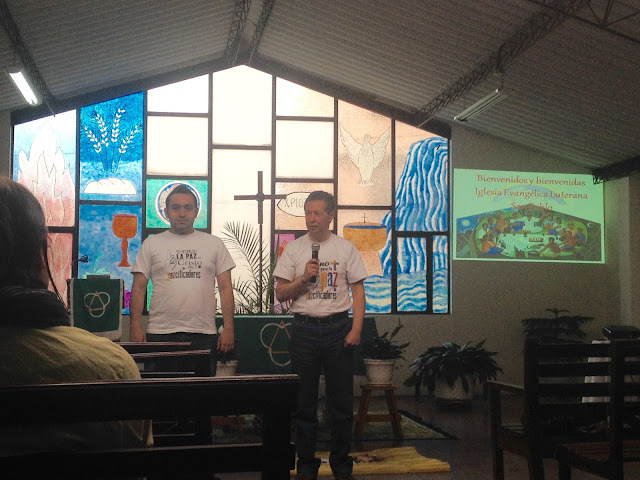 Last Sunday the 18th of October, DIPAZ (Dialogo Intereclesial por la Paz – Inter-church Dialogue for Peace) held an ecumenical celebration and worship service at the Lutheran Church of San Pablo in southern Bogota. The shared celebration was a fantastic display of the hard work to join hands, combine efforts, and build peace that many church members are involved in here in Colombia. Celebrating together were members of Catholic, Presbyterian, Mennonite, Baptist, and Independent Evangelical churches, and, of course, the Lutheran congregation of San Pablo. 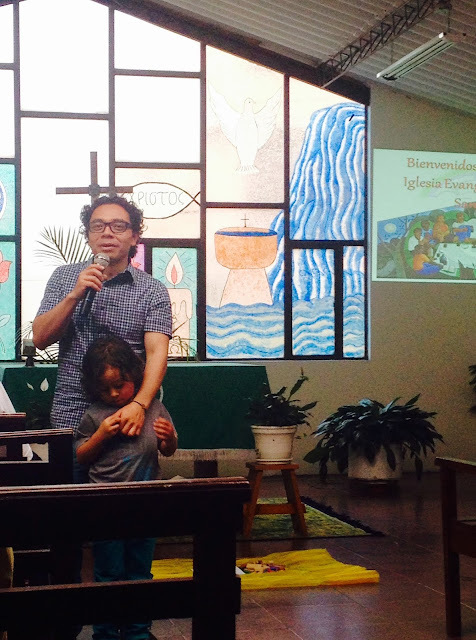 DIPAZ will continue to promote ecumenical worship at other congregations around Bogota and hopefully they will grow outside of the city as well. The next one is already planned to be held at a Mennonite congregation, and will hopefully have the same showing as this one did. 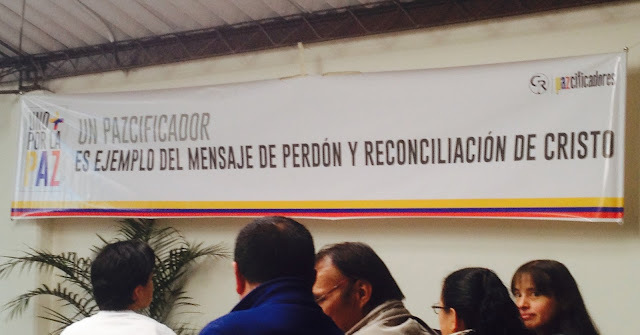 A sign brought to help the message of the celebration, the translation is "A Peacemaker is an example of Jesus' forgiveness and reconciliation". Lutheran Pastor Nelson Celis, of the congregation San Pablo, introducing the space and opening the worship celebration. Pastor Nelson has consistently been very supportive of my work with the human rights program as well as the participation of IELCO (Evangelical Lutheran Church of Colombia) in DIPAZ. Andres Alba, member of San Pablo and active participant in DIPAZ, currently he is volunteering to help coordinate the activities of DIPAZ. He is with his son Gabriel or Gabo. 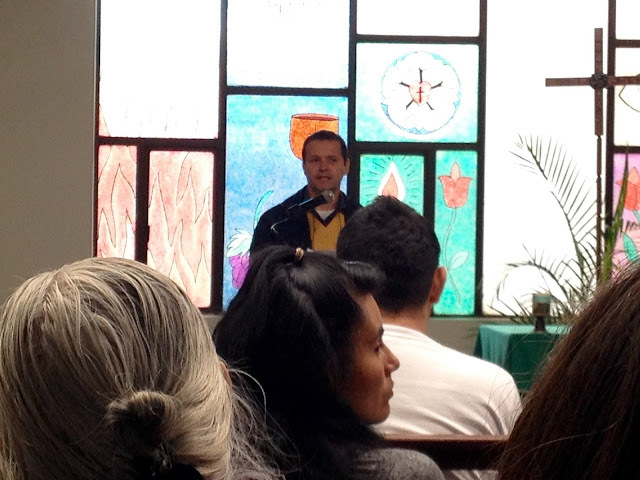 Andres helped facilitate the celebration, in this picture he is introducing the various guests that were visiting the church for this special celebration. 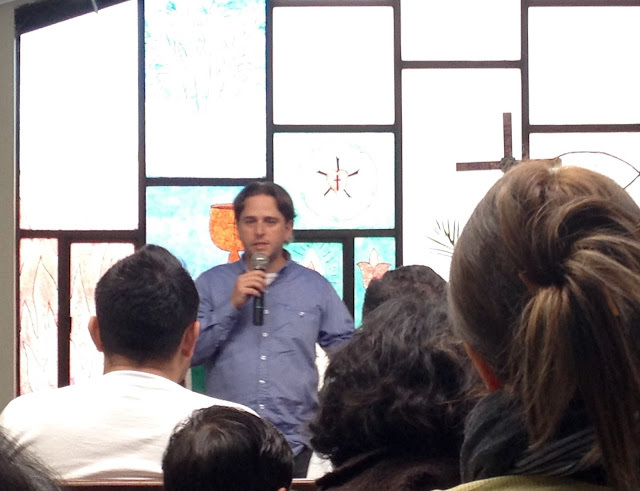 In this photo, Pastor Michael Joseph is introducing himself and his participation in DIPAZ. Michael is a fellow missionary from the United States, he is here jointly through the United Church of Christ and the Disciples of Christ. 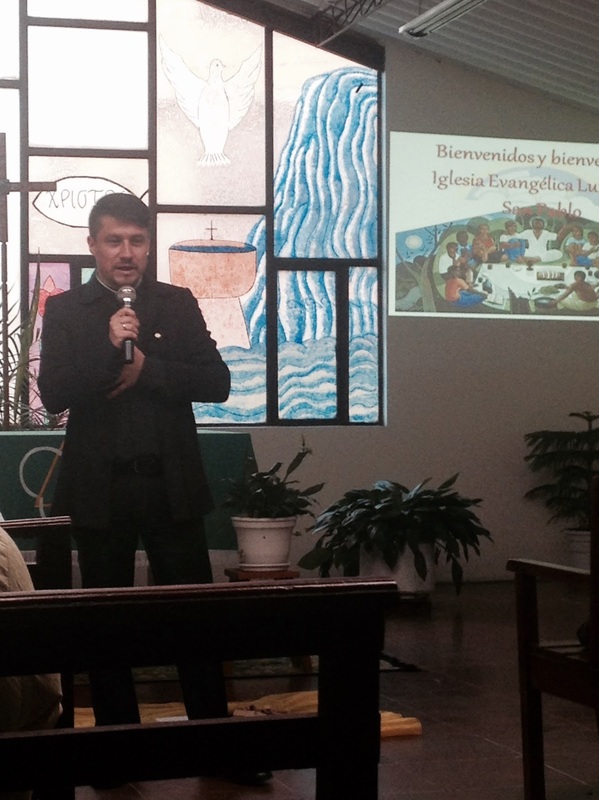 Here in Colombia he works with the Peace Commission of the Evangelical Council of Colombia. The worship included group activities intended to spark discussions about peace. In this picture the children are making hands out of blocks to represent they are God's hands in the world. Members of the Church on the Rock (Evangelical Independent) introducing themselves. The Church on the Rock participated very strongly with the monitoring and verification efforts of DIPAZ for the current unilateral ceasefire of the FARC (Revolutionary Armed Forces of Colombia). Gabo getting in some drum "practice" before the celebration started.